The Rebel Sweetheart. : Remembering Those Who Have Passed Away. After a loved one is cremated, you probably think of the ashes being placed in a container or an urn so that they can be kept on a mantle or in an area where the person can be remembered. Some people will bury the ashes once another family member passes away, or scatter the ashes at a favorite location. Another option is a keepsake bracelet. A small amount of the ashes are placed in a bracelet so that you can wear it all the time. This is a way that is comforting for some who want to keep their loved one as close as possible. It's also a way for children to keep a family member, such as a grandparent, close to them after a death. A bracelet is often a gentle reminder that the person is still there instead of looking at an urn on a mantle in the home. There are various designs that you can get with the bracelet depending on how detailed you want it to look. Most bracelets are made of sterling silver. This gives the piece a delicate look and a reverence that you might think of after someone passes away. Details like crystals or pearls can be added to the bracelet. As light hits the bracelet, it can cause a sparkle that will make it look like an angel is shining from Heaven, which can be a way for you to remember your loved one. 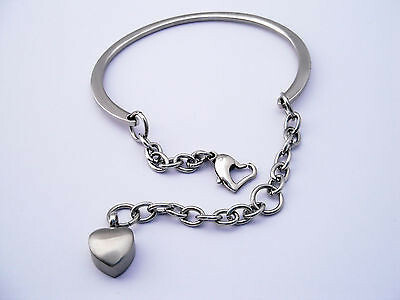 Most bracelets have a charm on them, many that are in the shape of a heart. The ashes are placed inside this charm so that they are secure. There are some bracelets that have tiny areas on the links where the ashes are placed. If you don't want a bracelet, then consider getting a ring with a stone where the ashes are placed. You can add a birthstone of the person who passed or stones of your own family. There are also necklaces with crosses and other charms. Some of the pendants include teardrops, a small urn or a heart. These are keepsakes that give a reassuring feeling that your loved one hasn't left your side.